E.T. the Extra-Terrestrial is a 1982 American science fiction fantasy film co-produced and directed by Steven Spielberg, and written by Melissa Mathison. 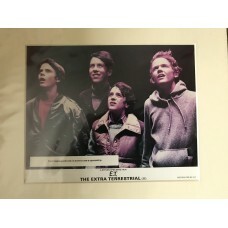 It features special effects by Carlo Rambaldi and Dennis Muren, and stars Henry Thomas, Dee Wallace, Robert MacNaughton, Drew Barrymore, Peter Coyote and Pat Welsh. 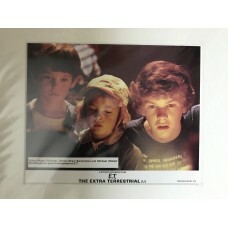 It tells the story of Elliott (Thomas), a lonely boy who befriends an extraterrestrial, dubbed "E.T. ", who is stranded on Earth. Elliott and his siblings help E.T. 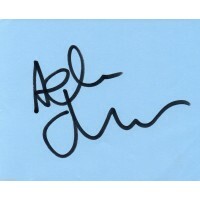 return home while attempting to keep him hidden from their mother and the government. E.T. 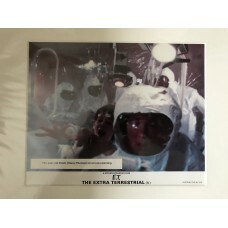 the Extra-Terrestrial - Original Mounted Lobby Card 1982 - 2Original 10x8 Lobby Card - Mounted in a 14x12 Inch Mount - Ready For Framing!Marks, l..
E.T. 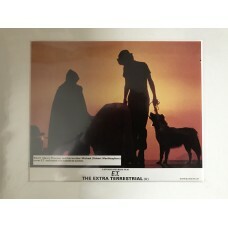 the Extra-Terrestrial - Original Mounted Lobby Card 1982 - 3Original 10x8 Lobby Card - Mounted in a 14x12 Inch Mount - Ready For Framing!Marks, l..
E.T. 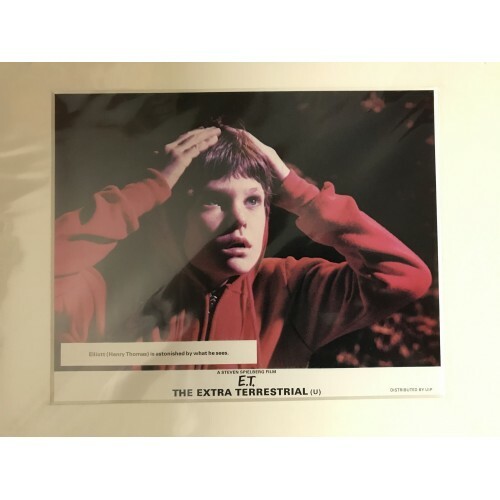 the Extra-Terrestrial - Original Mounted Lobby Card 1982 - 4Original 10x8 Lobby Card - Mounted in a 14x12 Inch Mount - Ready For Framing!Marks, l..
E.T. 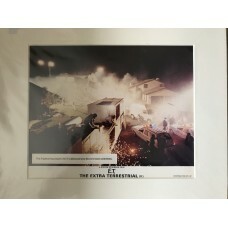 the Extra-Terrestrial - Original Mounted Lobby Card 1982 - 5Original 10x8 Lobby Card - Mounted in a 14x12 Inch Mount - Ready For Framing!Marks, l..
E.T. 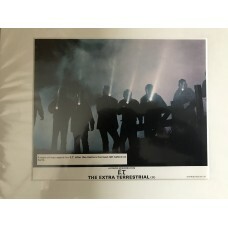 the Extra-Terrestrial - Original Mounted Lobby Card 1982 - 6Original 10x8 Lobby Card - Mounted in a 14x12 Inch Mount - Ready For Framing!Marks, l..
E.T. the Extra-Terrestrial - Original Mounted Lobby Card 1982 - 7Original 10x8 Lobby Card - Mounted in a 14x12 Inch Mount - Ready For Framing!Marks, l..